Did you see that the next “High School Musical” might be about summer camp? It’s true! Peter Barsocchini, the main writer for our favorite Disney Channel show with Zac and Vanessa, is set to begin filming in Malibu a pilot TV show about sleepaway camp. It’s supposed to be a comedy and will air on Nickelodeon. Beyond that, we can only guess what the show will be about and who will be starring in it. No doubt, though, there will be plenty of funny camp situations that the characters find themselves in— pranks, daily silliness, and the sort of camp crushes that happen at co-ed summer camps. As you know, camp is one of those places where you tend to laugh your head off, so this could be good! Barsocchini is using the slogan, “Camp is why kids invented summer.” Well, we could also say, camp is what makes summer for kids. 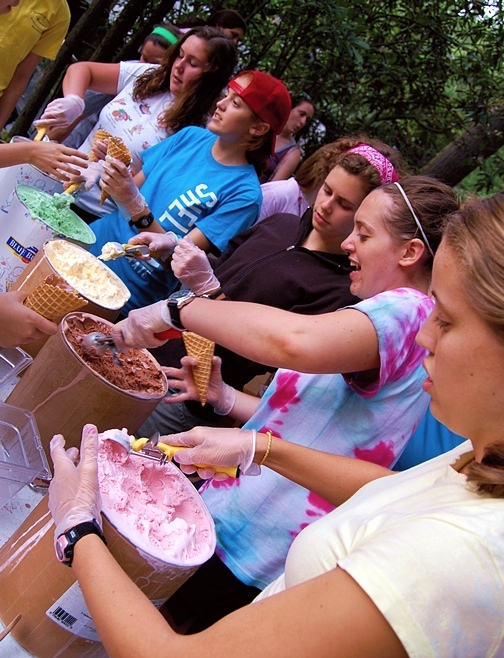 If you’ve been to Rockbrook, it’s just not summer without it. 2 Responses to "Camp is the next 'High School Musical'"